Holsters from shoulders to ankles. Nice belt holster with pouches. Durable polyester with PVC coating. Nice belt holster with pouches. Durable polyester with PVC coating. Nice belt holster with pouches. Durable polyester with PVC coating. Nice belt holster with pouches. Durable polyester with PVC coating. Nice belt holster with pouches. Durable polyester with PVC coating. Nice belt holster with pouches. Durable polyester with PVC coating. Nice belt holster with pouches. Durable polyester with PVC coating. Nice vertical shoulder holster. Designed for security, comfort and quick draw. Nice vertical shoulder holster. Designed for security, comfort and quick draw. Nice vertical shoulder holster. Designed for security, comfort and quick draw. Nice vertical shoulder holster. Designed for security, comfort and quick draw. Vertical Shoulder Holster with One Holster and One Magazine Pouch. Tactical drop leg pistol holster with extra magazine pouch on the front. Tactical drop leg pistol holster with extra magazine pouch on the front. Tactical drop leg pistol holster with extra magazine pouch on the front. Tactical drop leg pistol holster with extra magazine pouch on the front. 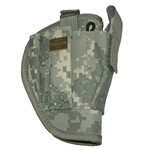 Tactical drop leg pistol holster with extra magazine pouch on the front. Tactical drop leg pistol holster with extra magazine pouch on the front. Nice small belt holster. Compact Design for pistol up to 6.5". Nice small belt holster. Compact Design for pistol up to 6.5". Nice small belt holster. Compact Design for pistol up to 6.5". Nice small belt holster. Compact Design for pistol up to 6.5". Nice small belt holster. Compact Design for pistol up to 6.5". Nice small belt holster. Compact Design for pistol up to 6.5". Nice small belt holster. Compact Design for pistol up to 6.5". Nice small belt holster. Compact Design for pistol up to 6.5". Belt pistol holster. Works on any belt up to 2” wide. Fits most popular auto pistols and revolvers. Belt pistol holster. Works on any belt up to 2” wide. Fits most popular auto pistols and revolvers. Belt pistol holster. Works on any belt up to 2” wide. Fits most popular auto pistols and revolvers. Belt pistol holster. Works on any belt up to 2” wide. Fits most popular auto pistols and revolvers. Belt pistol holster. Works on any belt up to 2” wide. Fits most popular auto pistols and revolvers. Belt pistol holster. Works on any belt up to 2” wide. Fits most popular auto pistols and revolvers. Belt pistol holster. Works on any belt up to 2” wide. Fits most popular auto pistols and revolvers. Nice quality tactical drop leg holster assembly with extra magazine pouch. Easy to secure to tactical utility belt. Nice quality tactical drop leg holster assembly with extra magazine pouch. Easy to secure to tactical utility belt. Nice quality tactical drop leg holster assembly with extra magazine pouch. Easy to secure to tactical utility belt. Nice quality tactical drop leg holster assembly with extra magazine pouch. Easy to secure to tactical utility belt. Nice quality tactical drop leg holster assembly with extra magazine pouch. Easy to secure to tactical utility belt. Nice quality tactical drop leg holster assembly with extra magazine pouch. Easy to secure to tactical utility belt. Nice quality tactical drop leg holster assembly with extra magazine pouch. Easy to secure to tactical utility belt. Elastic waist band ambidextrous holster for concealed carry. Large size. Fits waist sizes from 40" to 48". Elastic waist band ambidextrous holster for concealed carry. Medium size. Fits waist sizes from 30" to 38". Nice quality tornado tactical leg holster with extra magazine pouch. Velcro secured holster for a variety sizes of pistols. Nice quality tornado tactical leg holster with extra magazine pouch. Velcro secured holster for a variety sizes of pistols. Nice quality tornado tactical leg holster with extra magazine pouch. Velcro secured holster for a variety sizes of pistols. This Ambidextrous holster made from lightweight durable material. Fits most medium to large frame pistols and revolvers inside the pants for concealment. This Ambidextrous holster made from lightweight durable material. Fits most small to medium frame pistols inside the pants for concealment. Deluxe ambidextrous belt holster designed for left or right handed use. Works with any belt up to 2 1/2 inches wide. Deluxe ambidextrous belt holster with spring steel removable belt clip . Fits M1911, Beretta, Taurus, S&W and More. Deluxe belt holster with magazine pouch. Works with any belt up to 2 1/2 inches wide. Deluxe belt holster with magazine pouch. Works with any belt up to 2 1/2 inches wide. Deluxe belt holster with magazine pouch. Works with any belt up to 2 1/2 inches wide. Deluxe belt holster with magazine pouch. Works with any belt up to 2 1/2 inches wide. Deluxe belt holster with magazine pouch. Works with any belt up to 2 1/2 inches wide. Deluxe belt holster with magazine pouch. Works with any belt up to 2 1/2 inches wide. Deluxe belt holster with magazine pouch. Works with any belt up to 2 1/2 inches wide. Design for small pocket guns. Fits 22-25 Autos, Small 380 Autos, Kel Tec and Ruger LCP. Tactical thigh holster assembly with extra magazine pouch. Easy to secure to tactical utility belt. Tactical thigh holster assembly with extra magazine pouch. Easy to secure to tactical utility belt. Tactical thigh holster assembly with extra magazine pouch. Easy to secure to tactical utility belt. Tactical thigh holster assembly with extra magazine pouch. Easy to secure to tactical utility belt. Tactical thigh holster assembly with extra magazine pouch. Easy to secure to tactical utility belt. Tactical thigh holster assembly with extra magazine pouch. Easy to secure to tactical utility belt. Tactical thigh holster assembly with extra magazine pouch. Easy to secure to tactical utility belt.